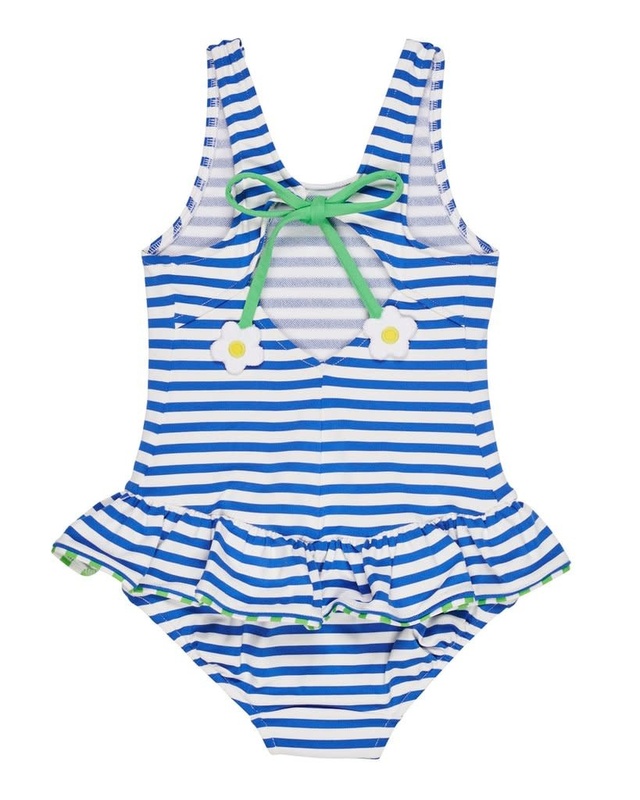 Our royal stripe swim suit is made to bring smiles with cheerful appliqued daisies on the front and back ties. 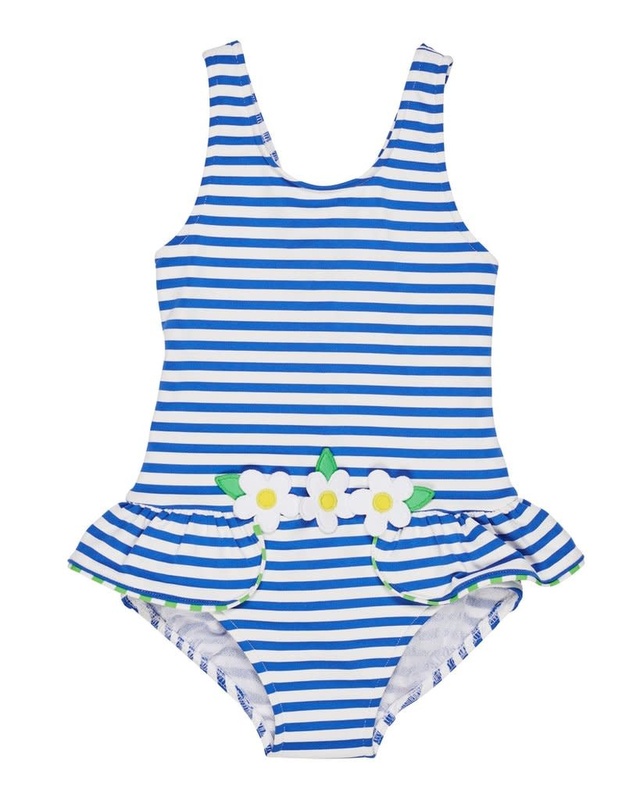 This Spanish fabric has two way stretch and the back legs are shirred to ensure her suit stays in place. Now off to the beach!